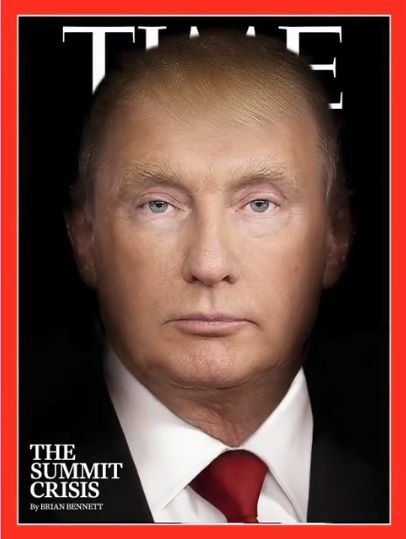 The cover of TIME Magazine‘s latest issue is a morphed image of U.S President Donald Trump and his Russian counterpart Vladimir Putin. 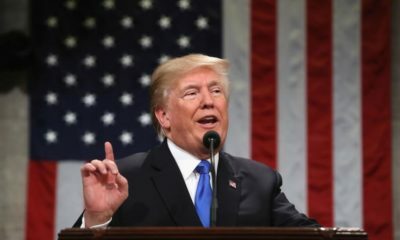 The cover story discusses the Helsinki Summit between the two presidents and Trump’s comment after being asked who he believed between the U.S lawmakers, intelligence community, and Putin on whether Russia interfered in the 2016 presidential election. The composite image, by visual artist @nancyburson, is meant to represent this particular moment in U.S. foreign policy, following the pair’s recent meeting in Helsinki. As our senior White House correspondent writes in this week’s cover story: “A year and a half into his presidency, Trump’s puzzling affinity for #Putin has yet to be explained. TIME’s cover story by Brian Bennett discusses the import of Trump’s statement at the summit. Read about it on TIME.